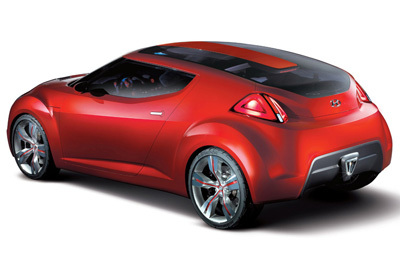 The Hyundai Veloster concept, codenamed the HND-3, was a concept sports coupe unveiled at the 2007 Seoul Motor Show. The Veloster name, a compound of velocity and roadster is intended to highlight the sporty characteristics of a classic two-plus-two layout. A panoramic glass roof and other futuristic styling cues including LED lighting help the Veloster project a high-tech image. 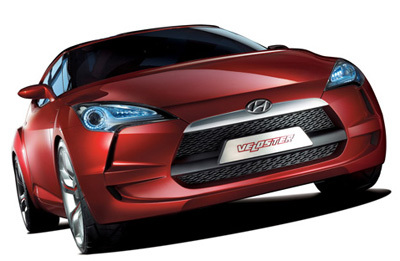 "With Veloster, we wanted to try something really different. We're keenly aware that we need radically new products for the Y-generation, the first-time twenties something buyer," said Oh Suk-Geun, Hyundai's vice president of design. 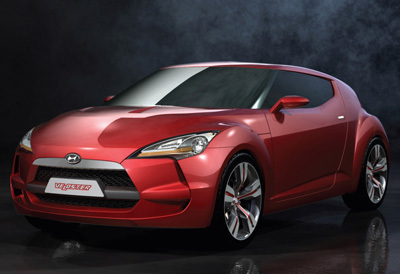 "This is really a bold new direction,"
Power for the Hyundai Veloster concept comes from a 2.0 litre DOHC inline 4 cylinder engine connected to a 5 speed transmission driving the front wheels.